It’s your year, the Year of the Pig, and time to get your priorities straight. What’s most important? Put that at the top of your list and stop pursuing meaningless goals. Focus on what matters and you will soon start to see results! If you’re not careful, you might jinx your own luck when Pig meets Pig. Stay conservative! As a Pig you’re entrepreneurial, passionate and proactive with a talent for making money. But you’re also impulsive and changeable. This is a year to think more carefully before you act and to listen to some good advice. Let others help you seize opportunities. Your income goes up but so do your expenses. Your luck comes through socialising and connecting with mentors, allies and likeminded people. If you’re a lady Pig, you could meet someone who’s instrumental to your future happiness. Health-wise, make sure to soak up some sun, whenever possible. Love for single Pigs: This is a year to cultivate friendships for the Pig. Get to know others, build your social circle and you will increase your chances of finding love. People you meet now could become love prospects (or introduce you to someone) down the line, even if you don’t yet know it. Lady Pigs are luckiest in love! Love for coupled up Pigs: Your focus should be to cultivate mutual respect and build a good friendship with your partner this year. Explore common interests and find activities that bring you closer together. Make enough time for your partner and don’t let your social life diminish your relationship. 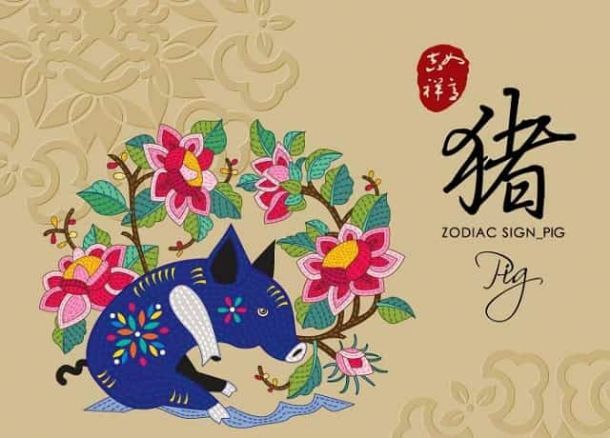 Year of the Pig Forecast for you: The year of the Pig brings opportunities to connect with like-minded people and build a lucky social network. Focus on what’s important, avoid negativity and you will see results.